Primus hits real close to my 90s kid routes. It was about the time in high school when I discovered this band and I’ve always identified with the quirky and technically proficience of the group. Let by Les Claypool, this band found a way to drive home some hard rock while doing it in a fashion that is not of this planet. These alien rockers were in Austin on November 7th and I finally got to see them, in 3D nonetheless. Bass Concert Hall is on the campus of Texas University. Actually it’s right behind the football stadium. It’s reserved for stand up comedians and classical music so having a band like Primus be there does not fit in. That’s perfect. It set the tone right off the bat. I think the best part of the venue for me is that I could sit down in actual seats. It didn’t last long, but it was nice during the intermission. I needed the rest too. The 3D experience part of it was lively and dynamic and did not strain my eyes at all. There was a sensory overload but the intermission, and the Popeye cartoons that were played during it, helped keep things in check. The graphics matched was played during the song and evenly distributed the 3D portion with 2D background. Yeah, it was neat. But what was neater was Primus. Neater to the extreme. Les Claypool’s bass lines border on schitzophrenic and rest of the band kept up like the old pros that they are. Green Nogahide was their latest release and they inserted tunes from that without being too overbearing. Lee Van Cleef is my pick from the new set, mainly because of the name. My favorites included the rousing closer Tommy the Cat and selections from the Brown Album. Tommy the Cat showcases Les’s playing the best out of all the songs and is long enough to provided the rest of the members to breath. Songs like Over the Falls come from the Brown Album and remind just how often I jammed that in my beat up Oldsmobile back in the day. 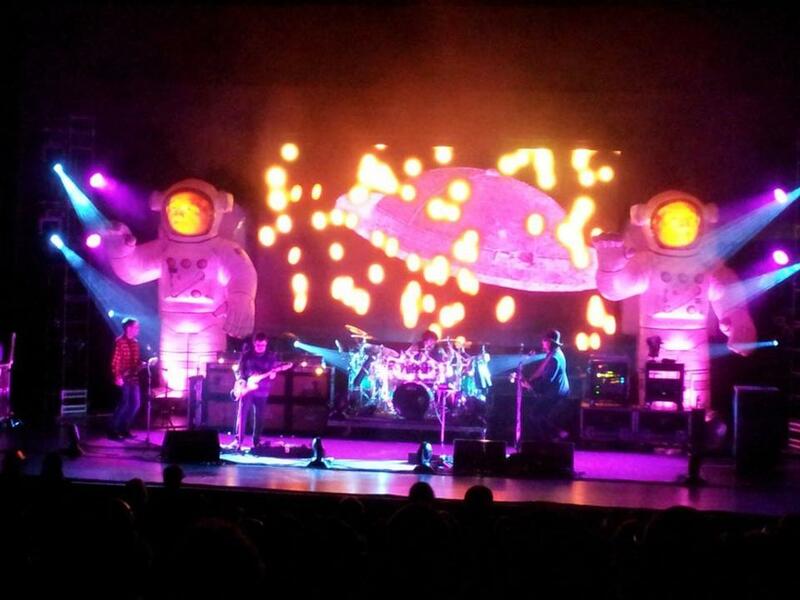 The 3D experience was great but what was even better was finally punching Primus off the concert bucket list. The off center style that they exhibit make much more a study of how alternative music can really be alternative. After enough listens, it starts to become normal. That’s when you need to take off the 3D glasses.